You are 4 times more likely to be involved in a collision if you are talking on a cell phone while driving. This includes a hands free set. That stat jumps to 23 times if you’re texting. Someone who is driving while distracted is failing to see up to half of the information in their driving environment. Half of the information you need to make sound decisions is lost to you because you’re distracted. 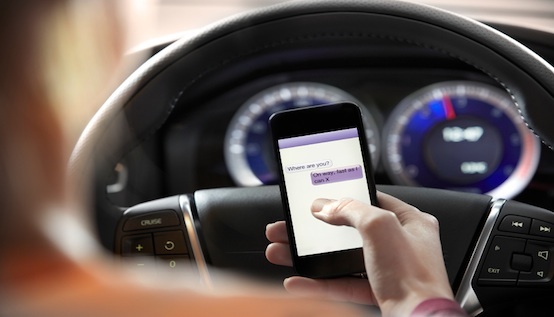 While there are a number of things that can be attributed to distracted driving, the main driver of this “epidemic” is our cultures current fixation with being connected. 24/7 we are bombarded and told about different ways to stay in touch with everyone and everything. We’ve become accustomed to knowing what’s going on at all times, and that now includes on our commute. With fines that range from $80 in Quebec, to up to $1200 in PEI, and the possibility of demerit points, it really doesn’t seem it would be. But a survey published in 2015 shows that 70% of Canadians surveyed admit to distracted driving. This is a habit with a high risk and a low reward. The information you’re receiving via text while cruising through your neighbourhood is not really worth the risk you’re taking with yours, and your fellow citizens lives. So put the phone down, put your make-up on at home, and learn to enjoy your local radio stations morning show. It’s worth it.